Here’s an interesting fact – Xiaomi is the leading wearables vendor in India, with a massive 27.1 percent market share in the country. 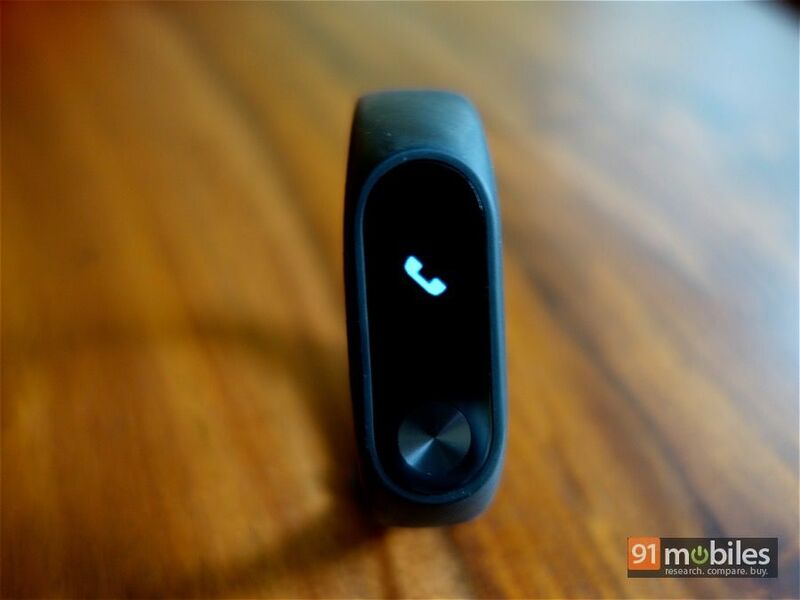 What’s even more interesting is that the brand has launched just one wearable device here so far – the Mi Band (review). Now the Mi Band isn’t the most sophisticated fitness tracker out there, especially when we already have big players like Fitbit, Jawbone and Misfit in the Indian market. But all their wearables are expensive, and the Mi Band in comparison costs just Rs 999 (there’s even a cheaper version with a single LED light that costs Rs 799). What’s more is that the Mi Band, though limited in what it can do, is still pretty effective. 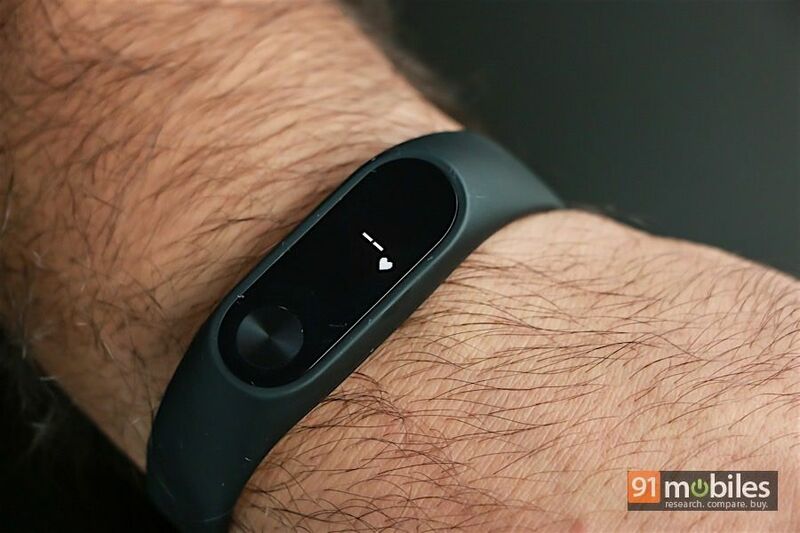 The one key feature which the original Mi Band missed out on though was a display, and that’s what Xiaomi has rectified in the Mi Band 2 (first impressions), adding a heart rate sensor for good measure. Xiaomi’s latest wearable went on sale in China last month, and is slated for release in India soon. In the meantime, we received a pre-release unit from Xiaomi, and here are our thoughts. The Mi Band 2 takes several design cues from its predecessor. You get a similar elastomer band which feels softer and more comfortable for daily wear, with a clasp at the end that feels more secure, thanks to a firm plastic nib. Our Mi Band 2 came with a black strap, but Xiaomi has swappable bands of various colours as well. The core itself retains its oval shape, but it’s a bit bulkier than its predecessor. That said, the Mi Band 2 is still pretty compact for a fitness tracker, and doesn’t feel cumbersome to wear all day. As we mentioned earlier, the main difference between the Mi Band and Mi Band 2 is the addition of the OLED display, which replaces the metal casing of its predecessor. The screen itself isn’t touch sensitive, but there is a round, capacitive button at the bottom which you can use to navigate. The button features a concentric circle design, similar to the plastic nib at the clasp. While Xiaomi claims to have made the display scratch, fingerprint and UV resistant, we found quite a few scratches on the screen after just a few weeks of use. We don’t claim to have been particularly gentle with the Mi Band 2, but considering it is a fitness tracker, we’d have liked it to be more sturdy. The underside of the tracker is where you’ll find the optical heart rate sensor, another new addition. After the Mi Band, Xiaomi launched an upgraded variant called the Mi Band Pulse in China last November, which was essentially the same device as the Mi Band, but with a heart rate sensor added in. The Mi Band Pulse was never launched here though. The Mi Band 2 is IP67-certified for water resistance, which means you can wear it in the shower, while washing your hands, or out in the rain. Xiaomi also says that it’s protected from sweat and oil too, but swimming with it still isn’t recommended. You can navigate the menu on the Mi Band 2 using the capacitive button, which essentially lets you scroll through the information that’s displayed. You can tap once to bring up the digital clock, tap again to view your step count, and so on. You can choose which other parameters you want displayed through the companion Mi Fit app, such as distance covered, calories burnt, heart rate and battery status. The addition of the clock is particularly useful, because it eliminates the need to wear a watch. There’s an easier way to view the time as well – just lift your wrist and angle it towards your face to turn on the clock. The original Mi Band featured a similar action in order to tell you how much of your daily goal you had completed by lighting up the LEDs, but it was poorly executed and didn’t work half the time. With the Mi Band 2, the action is flawless, and it worked pretty much every time. We tested the display both indoors and in bright sunlight, and the panel is easily visible under most lighting conditions. 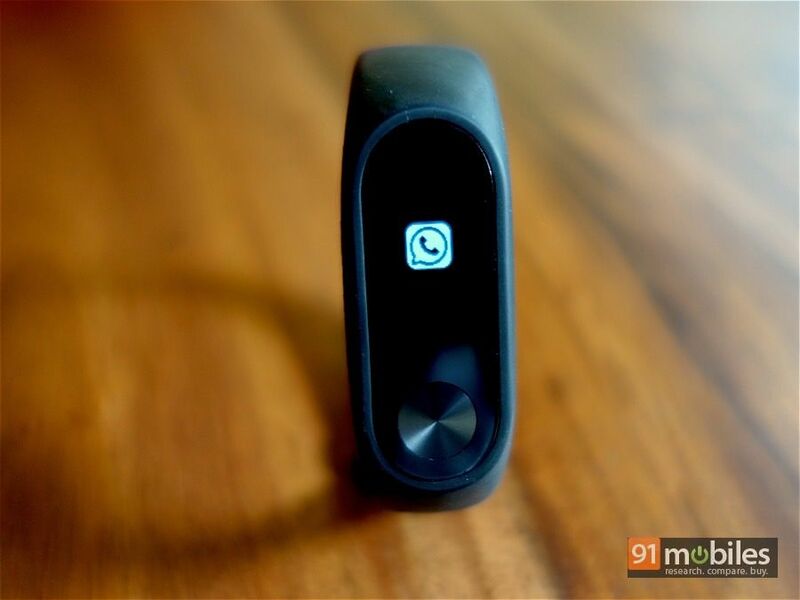 Like the original Mi Band, the Mi Band 2 vibrates to notify you for incoming calls and other notifications. Unfortunately, the display is tiny at 0.42 square inches, and covers less than a third of the overall tracker. 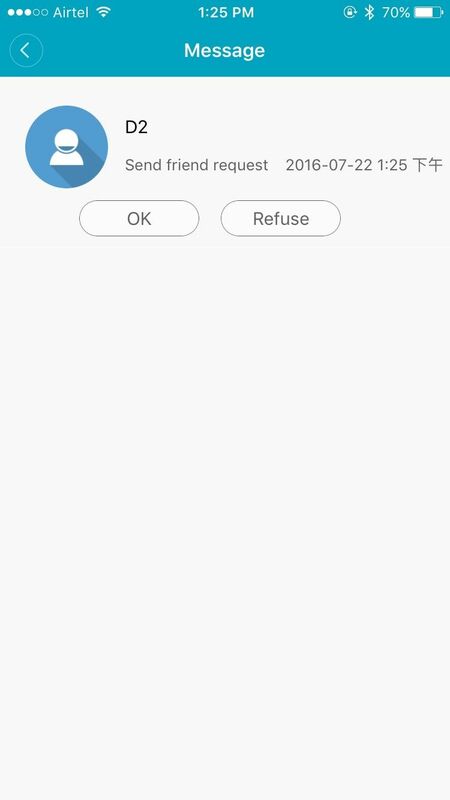 This means that it can’t display complete notifications like the content of a text message, or the name of a caller. Instead all you get is just the icon of the app you’ve received a notification from. 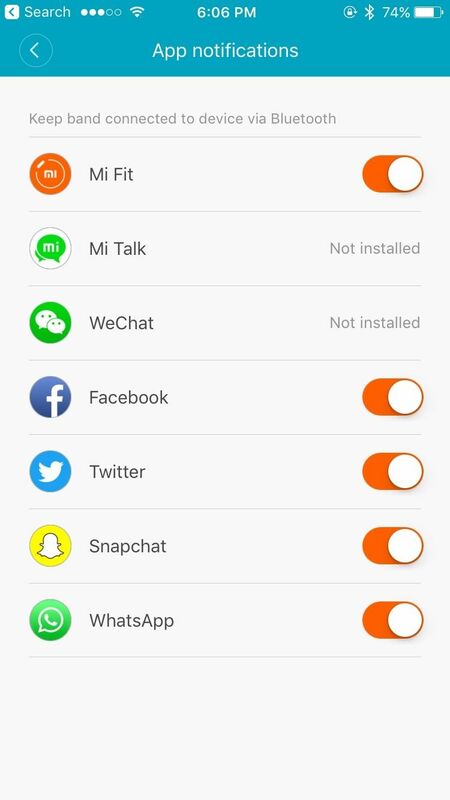 The supported apps currently include Mi Fit, Facebook, Twitter, Snapchat, WhatsApp, Mi Talk and WeChat. 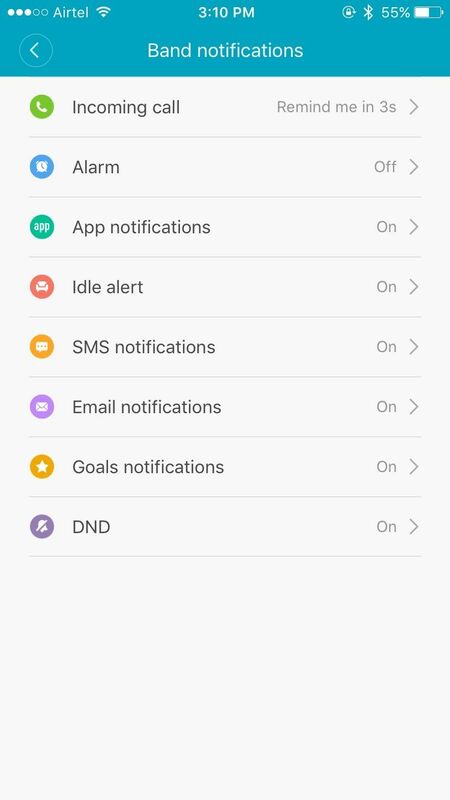 You can also enable notifications for new email and SMS. 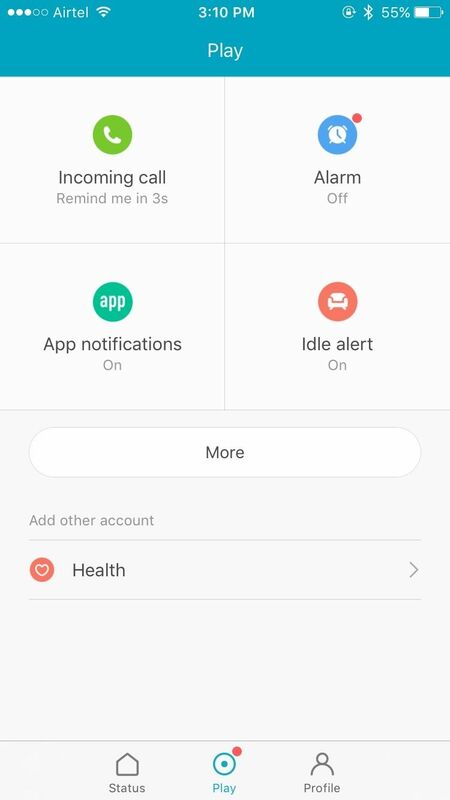 In the Mi Fit app, you enable Do Not Disturb to prevent the band vibrating for notifications during a specified down time. A noteworthy feature of the Mi Band 2 is the Idle Alert, which vibrates to remind you to get up and move when you’ve been inactive for an hour, useful if you spend long hours sitting at a desk. This mode can be silenced during your DND hours. The band also vibrates when you’ve completed your daily goal. Apart from this, it can also serve as a silent alarm, vibrating gently to wake you up at the designated hour. You can control all these settings via the Mi Fit app. For smartphones running Android 5.0 or higher, as well as most Xiaomi smartphones, the Mi Band 2 can be used to automatically unlock your device when it’s nearby. The feature doesn’t work on iOS though, for obvious reasons. The Mi Band 2 primarily functions as a pedometer, tracking your steps walked and distance covered. The biggest advantage of the newer fitness tracker is that you can see your step count and distance on the display itself. The earlier Mi Band indicated how much of your daily goal you had covered using the LEDs, with each lit-up LED representing a third of your goal. Xiaomi claims that it’s improved its step-counting algorithms with the Mi Band 2, and we found this to be largely true when compared to the original Mi Band. However, while its predecessor had a problem with over-counting steps, the Mi Band 2 tends to under-count them. We often found our step count to be less than the actual distance we covered. For instance, a 2km run on the treadmill usually showed the total distance varying between 1.5km and 1.8km. 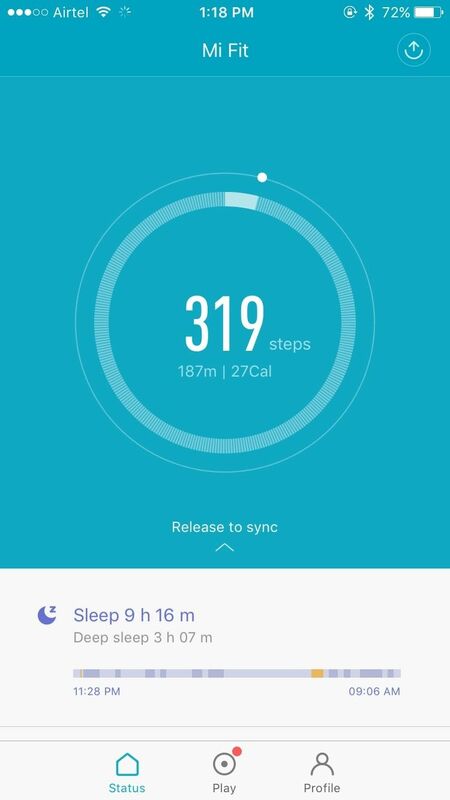 Apart from counting steps, the Mi Band 2 can also track your sleep patterns. Like the Mi Band, it features passive sleep tracking, which means you don’t need to manually enable a sleep mode. The band can automatically detect when you go to sleep, and when you wake up. It can also detect periods of light sleep and deep sleep, which is useful for tracking your sleeping patterns over time. The band doesn’t detect afternoon naps though, a complaint we had with the original Mi Band as well. This is because the band only enables the sleep tracking feature during the night. 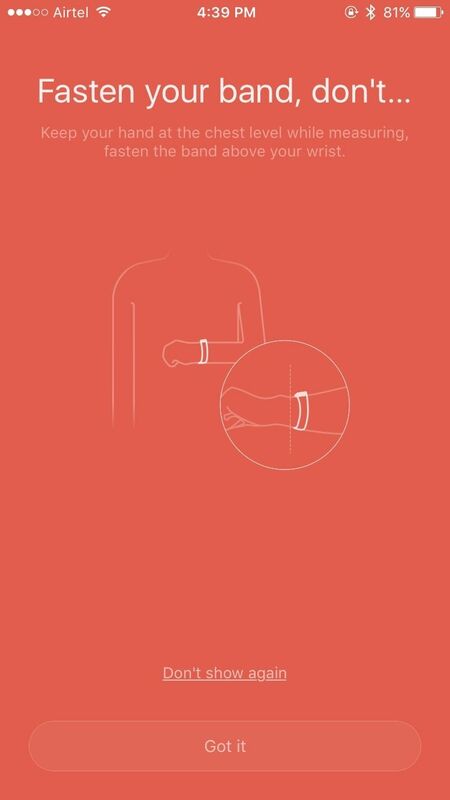 One of the new features introduced in the Mi Band 2 is the optical heart rate sensor, and this you can activate by simply tapping the circular button until you see the heart rate option. The heart rate monitor is pretty accurate, but it only works if you’re standing really still, with your hand brought up to chest level. The problem with this is that you can’t check your heart rate mid-run or workout for instance, which is the time when we actually needed to use it. The heart rate monitor isn’t passive either, so it doesn’t automatically record while you’re working out, or alert you if your heart rate is too high. 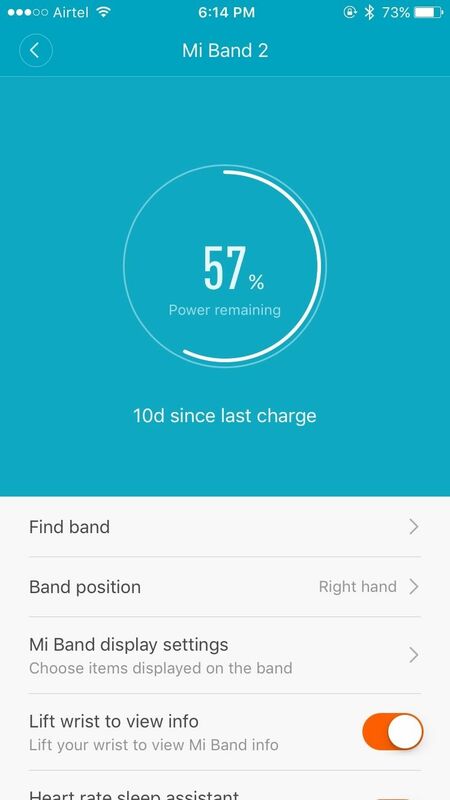 One of the highlight features of the original Mi Band was its battery life, which only required a recharge every 40 days or so in our experience. We were worried that the addition of the display on the Mi Band 2 would change that, but we found the battery life to still be excellent. Xiaomi claims the Mi Band 2’s battery can last for 20 days, and we found that to be true. The battery dipped from 100 to 57 percent over 10 days of continuous use, with notifications enabled. Thanks to the display, the Mi Band 2 tells you the exact battery percentage, unlike its predecessor where you needed to check the app, or worse, wait for the LEDs to glow red to indicate low battery. The Mi Band 2 ships with a proprietary charger you can fit the tracker into, just like its predecessor. There’s no power adapter included though, so you’ll need to use your own or plug it into your laptop. 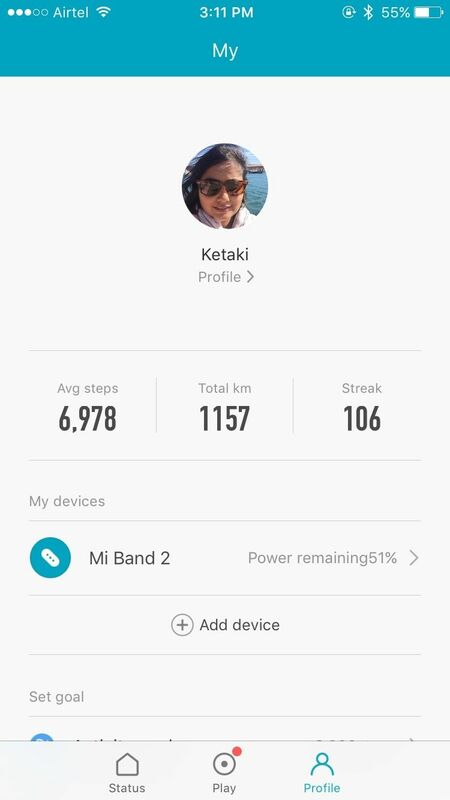 The Mi Fit app has been updated several times since the original Mi Band came out, but the functionality is more or less the same. As before, you’ll need to log into the app with your Mi account. The app is available both on Android and iOS, which is handy. The app is divided into three tabs – Status, Play and Profile. 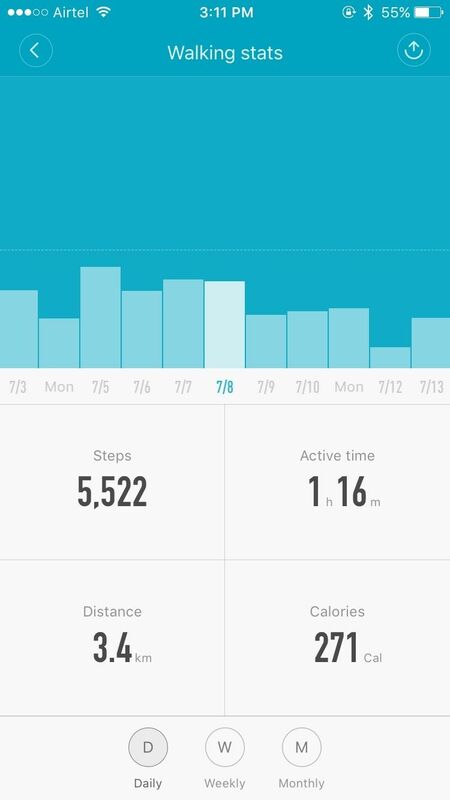 The Status section shows you the day’s step count, along with a summary of your previous night’s sleep and your last measured heart-rate. 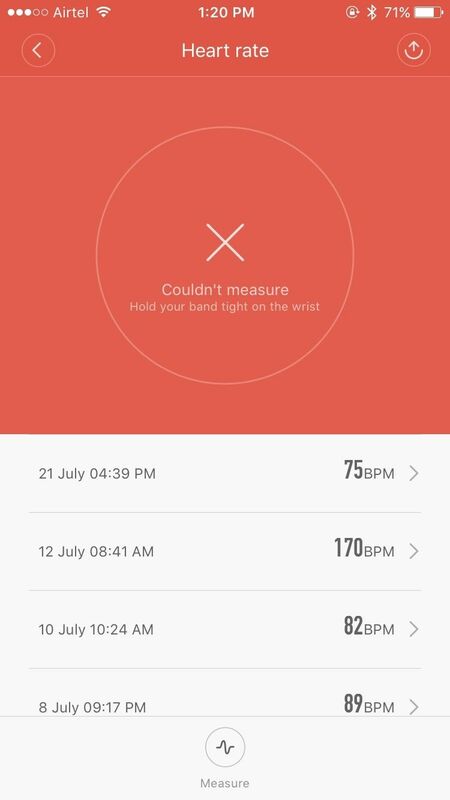 Interestingly, you can also measure heart-rate from within the app. You can also view a summary of your activity and sleep, through daily, weekly and monthly graphs, which is useful. The Play section is oddly named, because this is where you can control notifications, alarms, idle alerts and more. You can also sync the data to Apple’s Health app and Google Fit, among others. The Profile section is where you can fill in your height, weight and other personal information, and set your activity and weight goals. You can also add ‘Friends’, but this is a complicated process that requires you to share and scan a QR code. Once you add a friend, you can see their activity and sleep data, and embarassingly, even their weight, which isn’t something you’d want to share with everyone. We didn’t find the feature very useful to be honest, and don’t think that most users will end up using it, let alone find it. The Mi Band 2 takes everything we loved about the original Mi Band, and adds the requisite display and heart rate monitor to the mix. The display is a gamechanger at the band’s price point, which we expect to be around Rs 1,500 when it launches here. The display might be tiny, and lack a touchscreen, but it displays all the data you need, and notifications too, even though the latter is limited. Our only qualm about the Mi Band 2 is the heart rate sensor, which often throws up an error while recording, and requires you to be very still to boot. If you can ignore that, the Mi Band 2 is still the best affordable fitness tracker out there, and the fact that Xiaomi’s managed to retain the excellent battery life only adds to its appeal. Whether you’re looking to upgrade from the original Mi Band, or just want a basic fitness tracker, the Mi Band 2 has our vote.